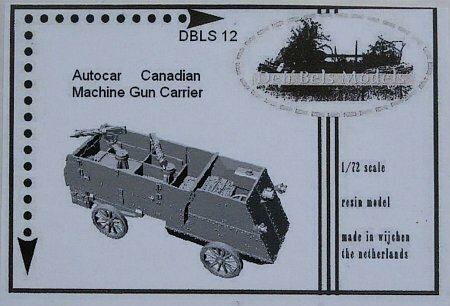 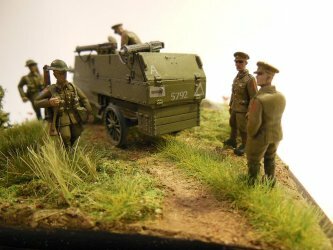 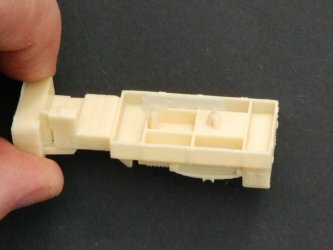 This 1/72 kit represents a Canadian Armoured Autocar used by the 1st Canadian Motor Machinegun Brigade during the First World War. 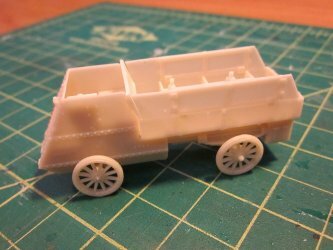 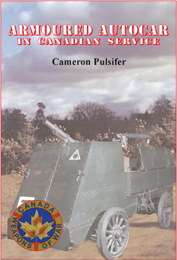 I found Cameron Pulsifer's Amoured Autocar in Canadian Service to be a fantastic resource when putting this together. To be honest, I don't remember if I was inspired to build the model after purchasing the book or vise versa. 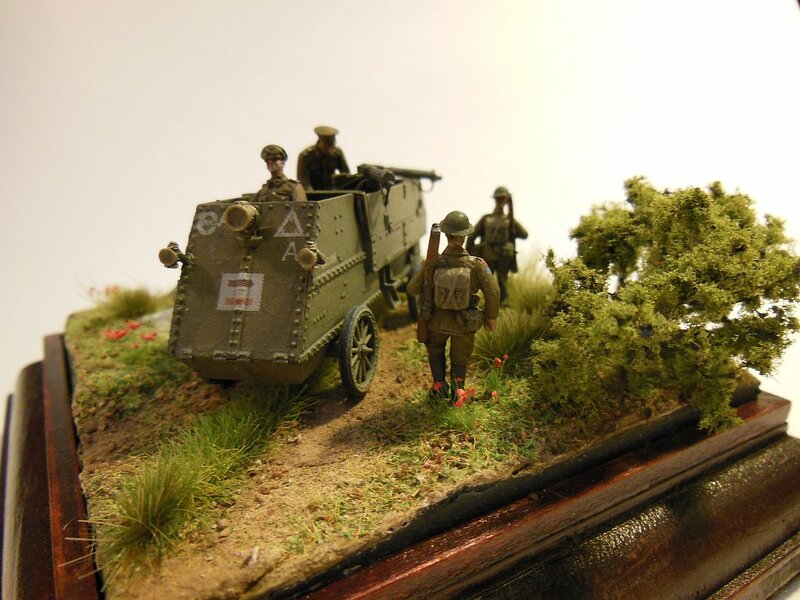 The model comes as a boxed 24 piece resin kit complete with decal sheet. 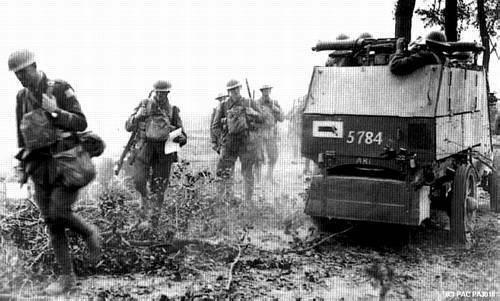 The markings are based on surviving vehicle at the Canadian War Museum in Ottawa, Canada. 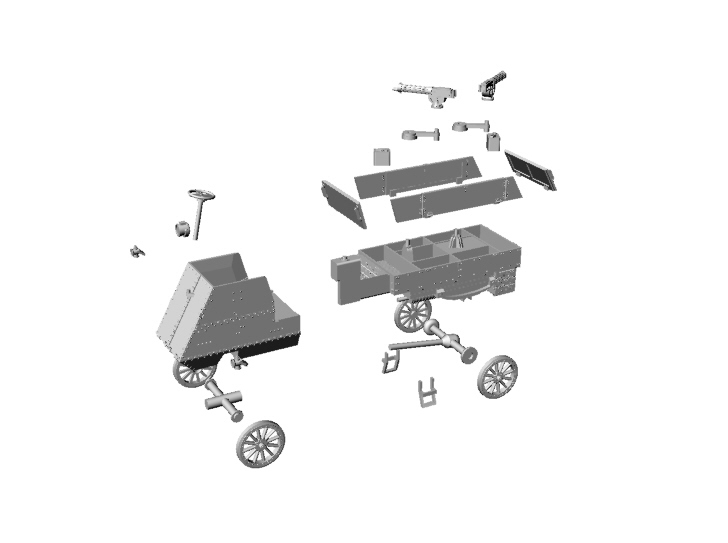 The instruction sheet is in exploded view format. Parts fit together very nicely - no need for any putty. 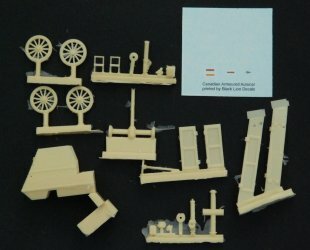 Smaller parts are spread over 7 sprues. 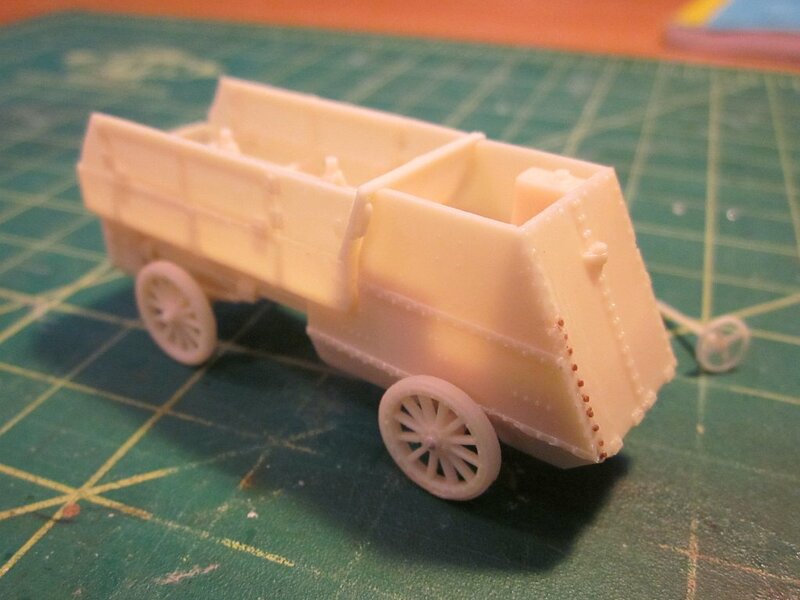 Care needs to be taken to prevent smaller pieces from breaking/flying apart as the resin is a bit brittle. Both the armoured hull and the main chassis have large mold blocks that need to be removed and sanded. I had to clean up a mold seam on the front of the cab which marred a line of rivets, and ended up replacing them with plastic HO scale rivets. 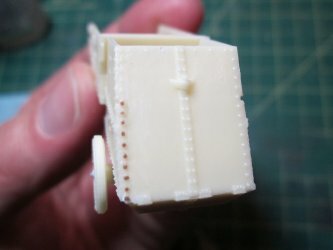 There was a small mold seam running along each side of the rear box, but I thought it was more trouble than it was worth to replace the rivets. The kit was cleaned up with Polly S Plastic Prep, primed with Tamiya Fine Grey Surface Primer, and then given a base coat of Polly Scale French Khaki. 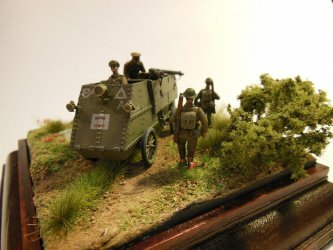 After the decals were applied the model was given filter then weathered with a combination of thinned Tamiya paints and Mig Pigments. The figures are from the excellent W∧D models range. 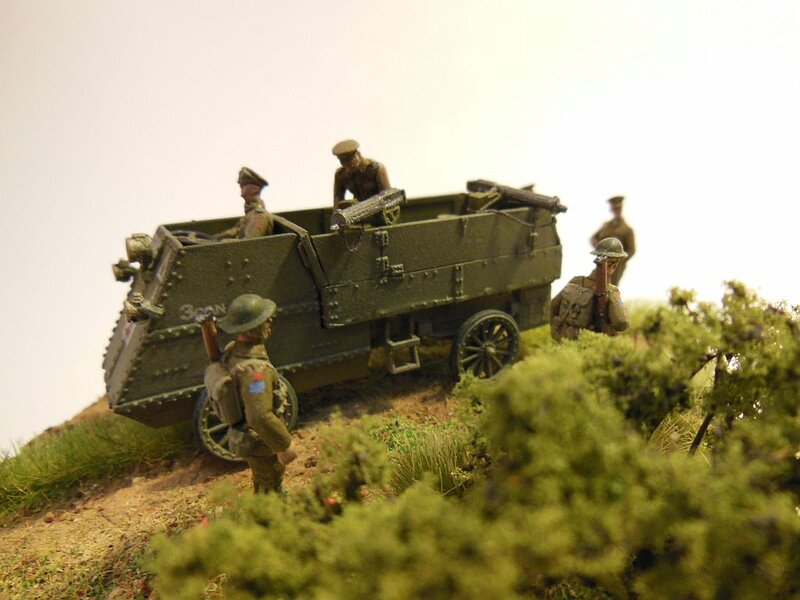 They are a combination of WD9 - British Infantry (walking), WD19 - British Driver/Passenger, WD2 - Light Railway Crew, and WD4 - Gun Crew. This is a great little kit that went together very well and is a nice addition to the collection of any Canadian armoured buff.